Thermatek® is a recognised leader and innovative manufacturer of systems for preventing frost heave and condensation beneath cold stores. We can supply standalone products for installers or offer an expert design service so that every installation is perfectly suited to its environment. All of our frost protection products feature low voltage heating elements, managed by a thermostatic control system. The system is able to detect faults in the circuits and elements; it includes visible and audible warnings and a system of error codes to help engineers resolve any problems. Our control system is protected by international patents and delivers outstanding energy efficiency and reliability. This system is ideal for any size of cold store, including those where height is restricted. The modular panels are quick and easy to install. The heating elements and sensors are incorporated into flooring grade insulation which allows you to lay the final flooring surface directly on top. Every system is supplied with the necessary wiring and fixings. ThermaMod is available in 13mm or 25mm variants to suit different applications. If you require help selecting the right product, please contact us. The ThermaThin foil-based system is just 2mm thick, making it perfect for small cold stores and cabinets, including those with in-situ floors. The heating elements are constructed from aluminium foil, laminated between tough plastic. If any part of the flooring becomes damaged the rest continues to operate independently. Every system is supplied with the necessary wiring and fixings. 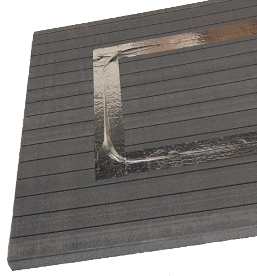 This is the original Thermatek frost protection system, which provides a highly effective solution in situations where you are able to lay the heating elements under a concrete screed. ThermaTrad is supplied as a custom kit, including the controller, sensors, heating elements, wires and fixings. We are happy to provide advice and guidance, as well as a free design service to help you find the perfect system for every cold store. Contact us to enquire or order.